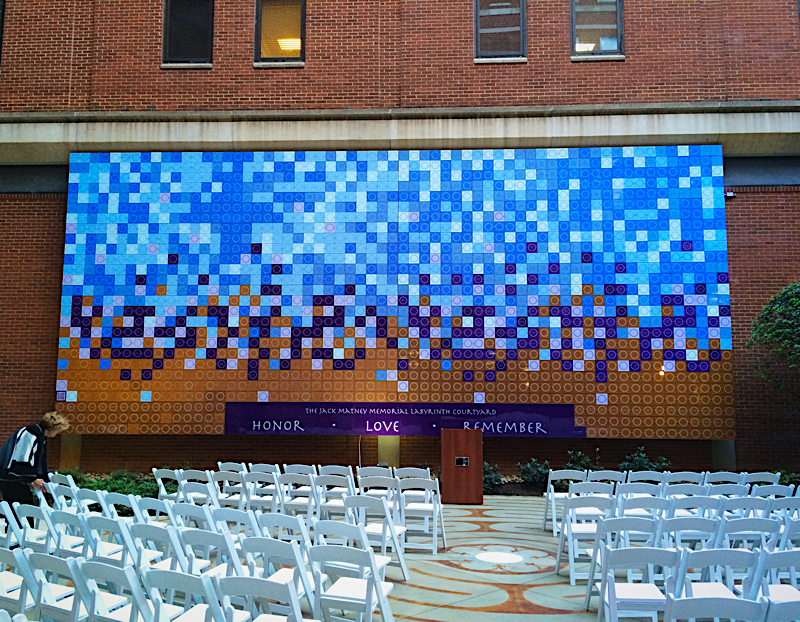 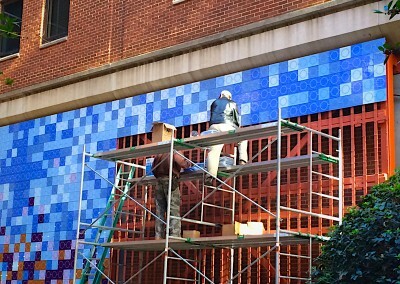 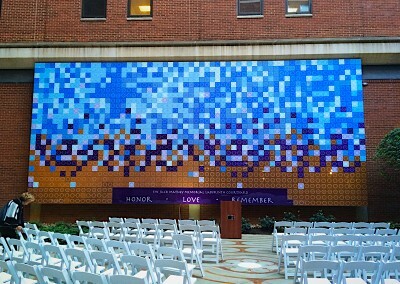 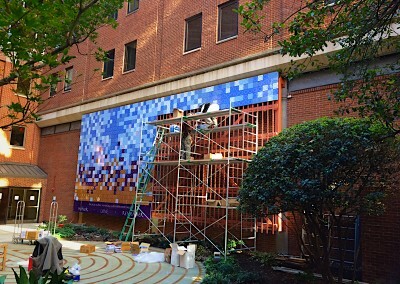 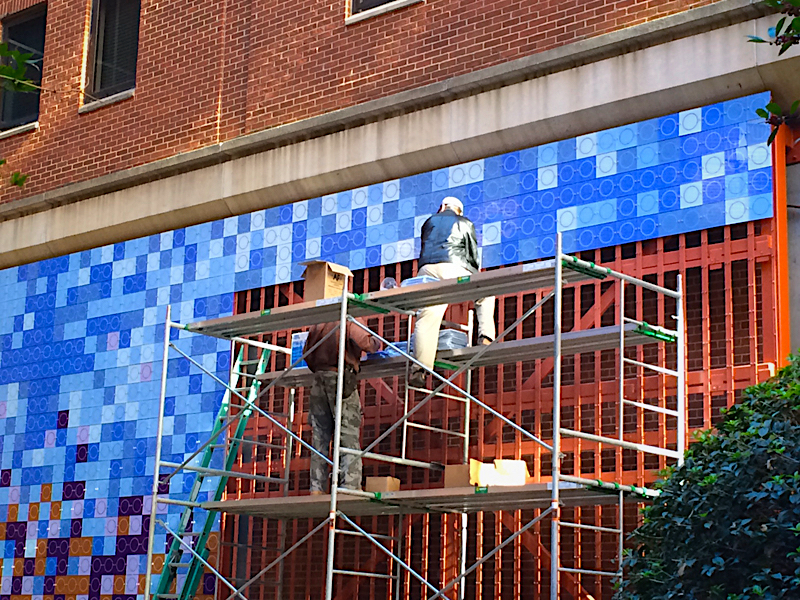 A very unique project on the Novant Health Presbyterian Medical Center campus. 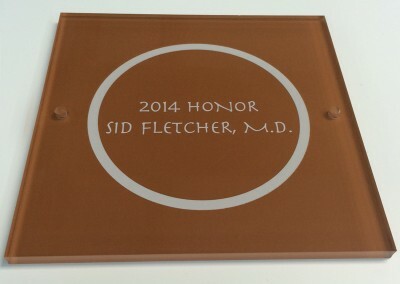 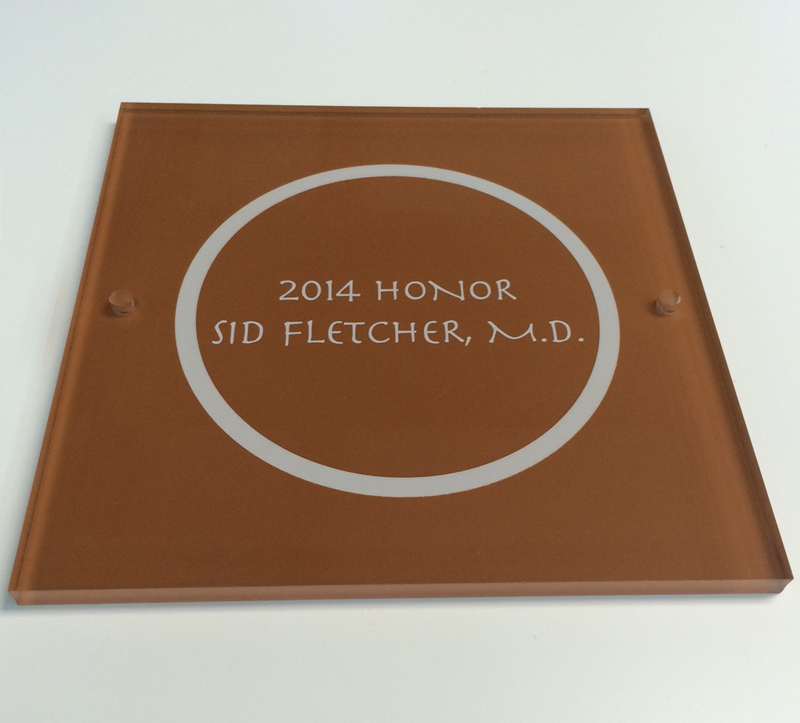 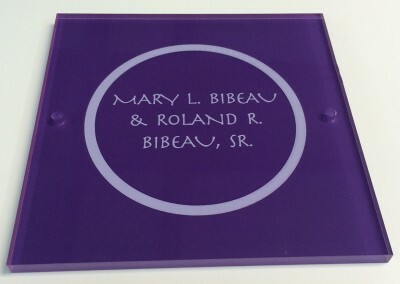 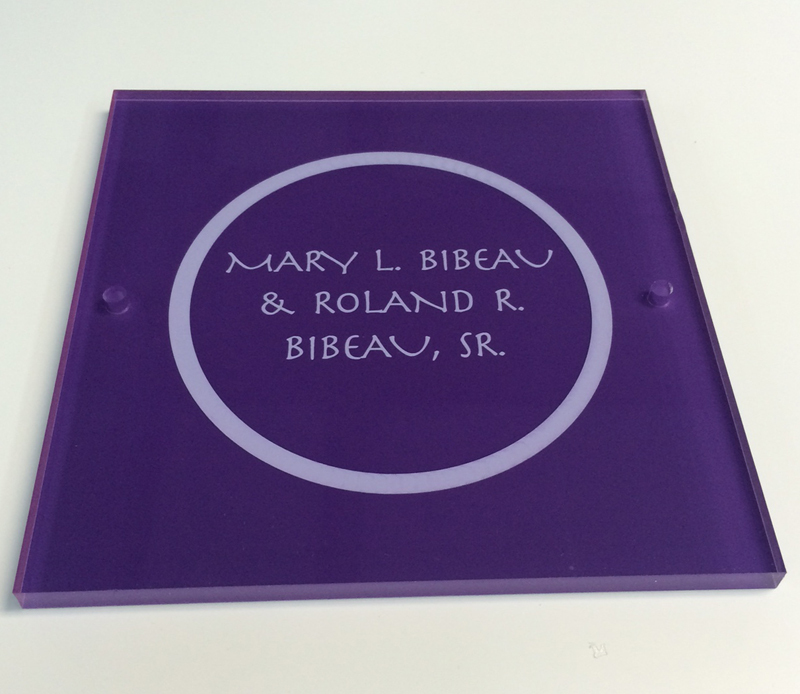 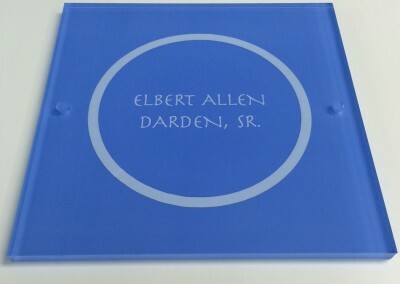 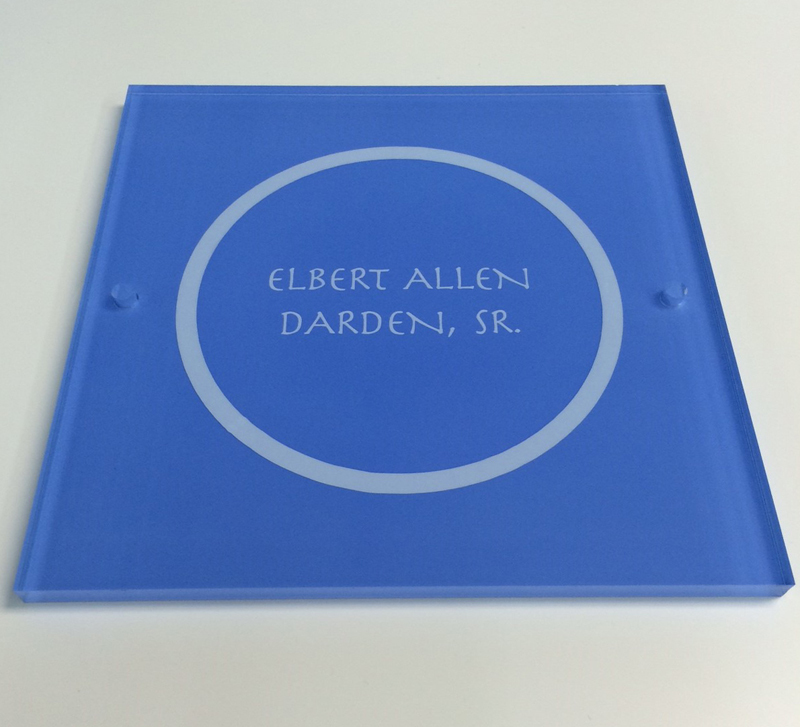 We were asked to add to this donor recognition wall, which consists of hundreds of frosted acrylic plaques that we painted and reverse lasered text into. They were attached to a metal frame system that our installers assembled onsite.